Something to add to your list of FREE things to do in Toronto this month – Saturday October 24th is Family Day at Planet In Focus Film Festival. 1) There will be free screenings of short films that engage kids with environmental issues from 10am – 10:45 am. Website will be updated with more screenings as festival dates approach. 2) There will be a free yoga class for the whole family instructed by Heather Gardner from Run Soul Cycle / Tribe Fitness, with prizes for the participants including a beautiful FREE yoga mat for the kids to take home generously provided by GAIAM Yoga. 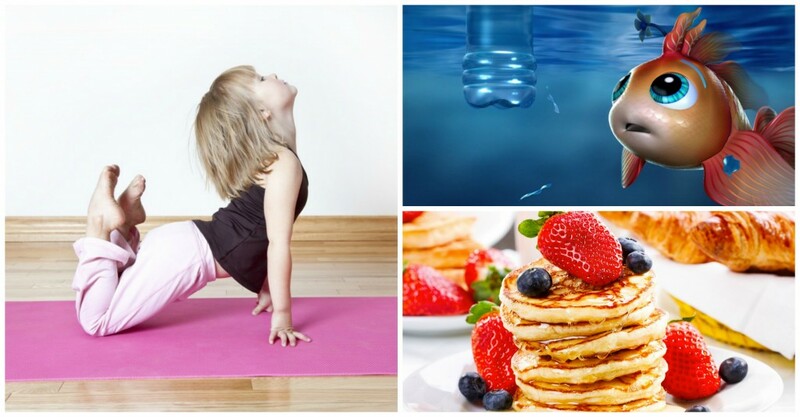 Yoga session will take place from 10:45 am – 11:15 am. 3) Saved the best for last: THERE WILL BE PANCAKES! 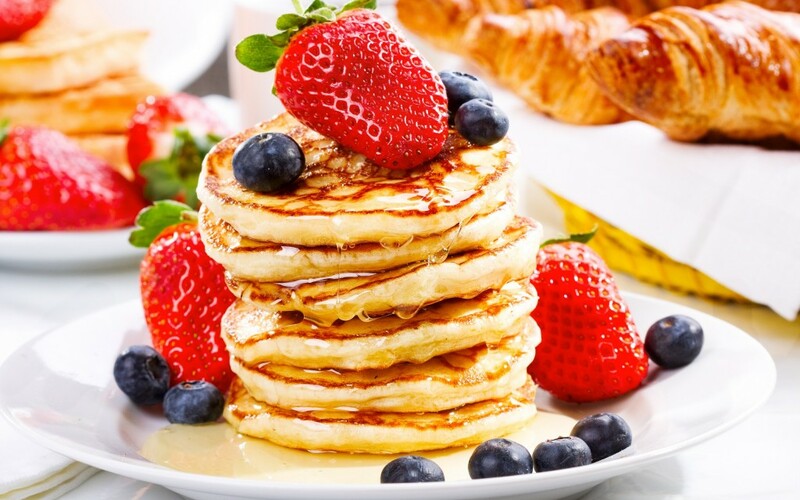 The pancake brunch (10am to noon) is totally free for kids under the age of 5, for everyone else it’s $5. Vegan, gluten-free pancakes available! All of this takes place on Saturday October 24rd at Innis College, at St. George University of Toronto Campus. You can reserve a seat for the screenings HERE. Pancake Brunch tickets available day of. Our Family Day programming has been generously supported by EcoParent Magazine. 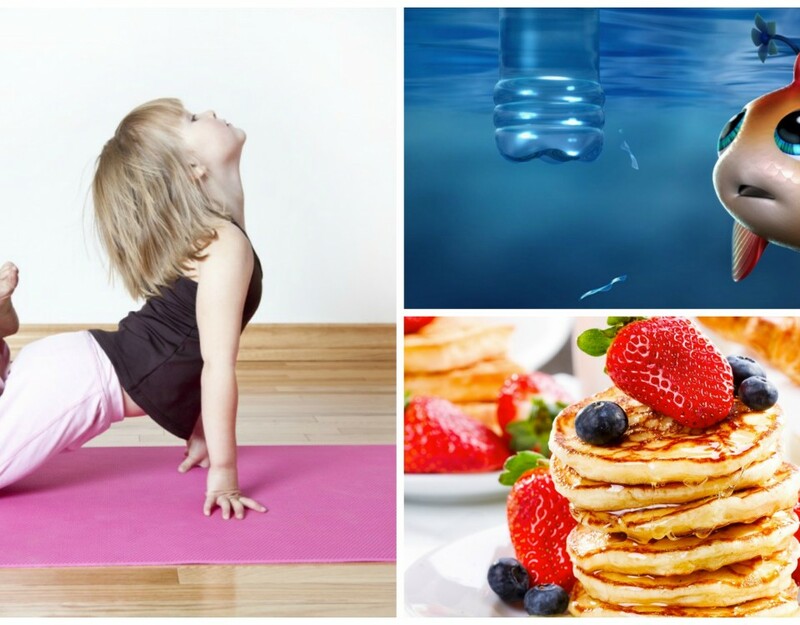 Yoga, Screenings & Pancakes: FOR KIDS!